With more of us living to a ripe old age, it’s more and more likely that we will have to plan for care home funding in later life. And if you have assets worth over £23,250, you are eligible to pay nursing home fees yourself. Many people fear losing their family home that they have worked for all their lives, but don’t see a viable alternative. 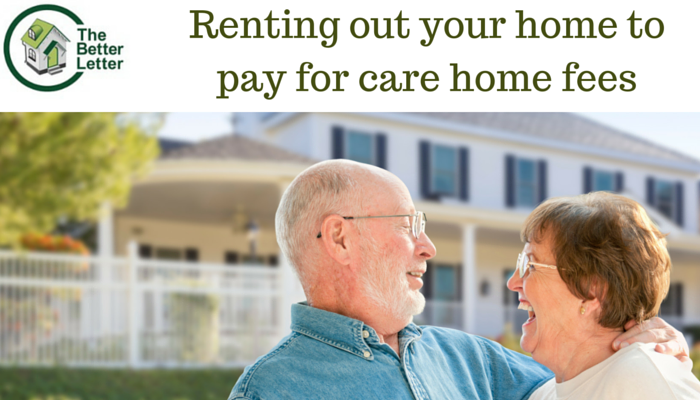 But could your home bring in a rental income sufficient to fund all or some of your care needs? At The Better Letter, I look after a lot of ‘accidental landlords’ – not big time property investors (although we take good care of those too! ), but people who have decided to rent out a property due to a change in circumstances. Perhaps they have moved due to work and have been unable to sell their home, or a couple have moved in together and decided to keep one of the properties they own as an investment. One lady I manage for approached me first in August of 1995. She’d just lost her mother, and wanted to let out her mum’s flat in Wolvercote for 12 months, just to give her time to organise probate and sort out the estate. Then she planned to sell. She’s been so happy with our management, I’m still looking after her property now! While professional property investors may have the time, knowledge and resources to manage properties themselves, many accidental landlords have neither the time nor the skills to look after a property. If your family live far away, there may be nobody who can keep an eye on matters for you. 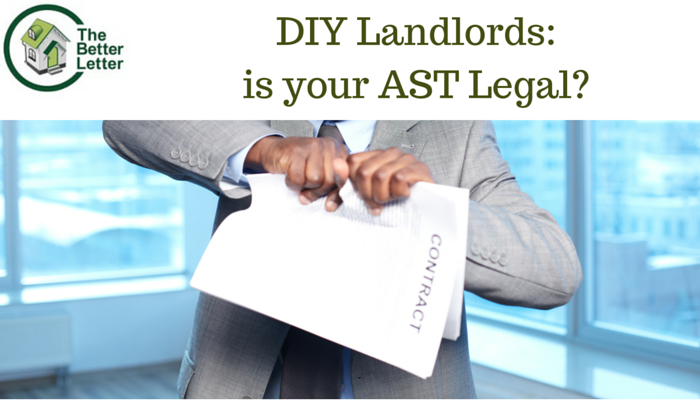 With a professional letting agent looking after you and your property, you can rest assured that your let will be legally compliant and well-managed. I’ve been letting and managing property in Oxfordshire for over 25 years now. I know each individual area better than most and I pride myself on running a business where we can take good care of each landlord and their specific needs. Lettings is a business that often has a bad reputation for squeezing money out of clients, then making excuses when repairs and maintenance are needed, or legal advice required. And that’s why I rebranded our company as The Better Letter. It’s not just a name change – I want to improve the quality of service to landlords in Oxfordshire, and raise the bar for lettings agents everywhere. If you’d like some advice on renting out your property, just call and we can have a cup of coffee. No sales team, no cold calls. Just talk directly to me and I can tell you about our services and the great deals we have for new clients. 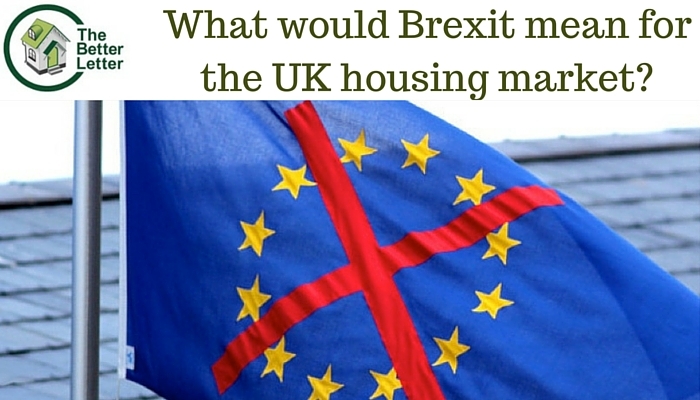 What Would a Brexit Vote Mean for the UK Housing Market? In the arguments for and against, what are the facts for property investors? There is nothing that spooks markets more than uncertainty. Our previous general elections are testament to that and, as the vote on whether Britain should leave the EU is imminent, we are already feeling the ripple of anxiety amongst our property elite. How could a Brexit vote affect our property market? There are many arguments for and against Brexit - with leading economists using mind boggling equations, the likes of which you may have only seen in the 1997 film Good Will Hunting to argue their case. However, for the purposes of this blog I want to focus on one key impact Brexit will have on our construction labour market and what that will mean for our already beleaguered housing stock. In 2007 the labour government set a target for 240,000 homes to be built every year up to 2016 to keep up with demand, but guess what... we are nowhere near that! There are many reasons as to why these targets were never achieved: slow,bureaucratic, planning departments, lack of available land, even running out of bricks in 2013/14. However, a major factor that affected - and still affects - the speed at which houses could be built was the shortage of skilled labour. Where are all the brickies? Blair’s obsession with “going to Uni” has had a real impact on the supply of skilled tradesmen our construction firms need, to keep up with demand. The Mid noughties saw some 450,000 undergraduates enroll on university courses, regardless of quality. This was more than two-and-a-half times the 175,000 individuals who started an apprenticeship in the same period. According to the Federation of Master Builders, 66% of small to medium sized construction firms have had to turn down work because they didn’t have the available staff to carry it out. If Junes vote means we leave the EU, what will happen to the current supply of subcontractors employed in our construction industry from Eastern Europe? Around 50% of our subbies are Eastern European and are currently aiding our attempt at sustaining a fragile housing market. But that’s not all: as speculation around Junes vote is rife, it seems foreign investment in our London housing market is already starting to wane. As many investors want to sit tight to see how the markets adapt regardless of which way the vote goes, investment in new builds will almost definitely be hampered, resulting in another obstacle in the already restricted UK housing supply. As the dust settles on last week’s budget announcement, what are the implications of the 2016 budget for those active in, or interested in, property investment? The stamp duty rise affects ALL residential landlords (including those with 15 properties or more). The new rules take effect from 1st April 2016 (not to be confused with the effective reduction in Stamp Duty on commercial properties, effective immediately). 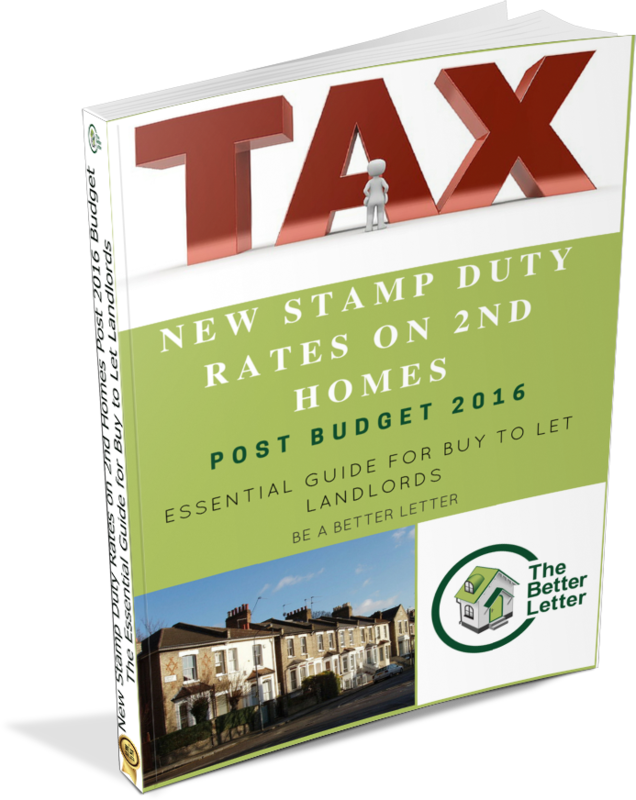 For more information on how the details of the new Stamp Duty rules, and advice on the best options for property investment post-April 2016, download our free guide: New Stamp Duty Rates on second homes post-Budget 2016 - The Essential Guide for Buy to Let Landlords.